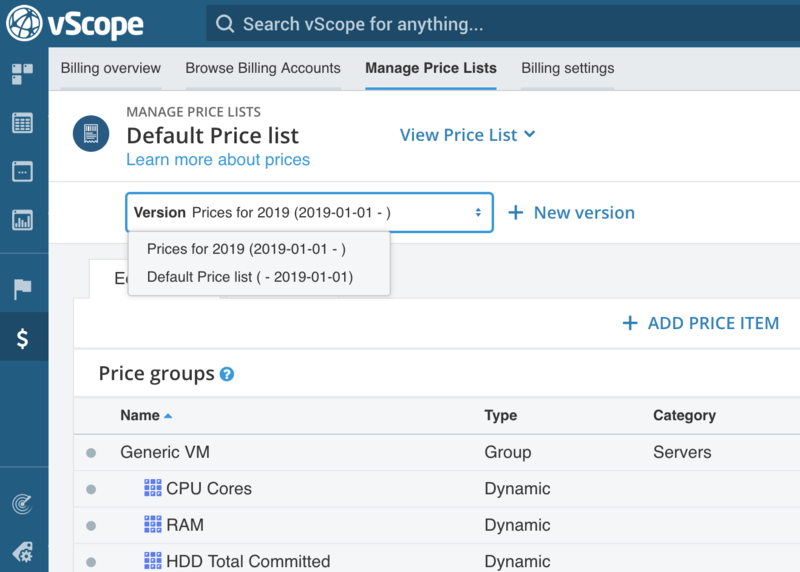 Home / Guides, Installation & Setup, vScope Billing / What is a Price list version? A version of a Price list has a description and a starting date. 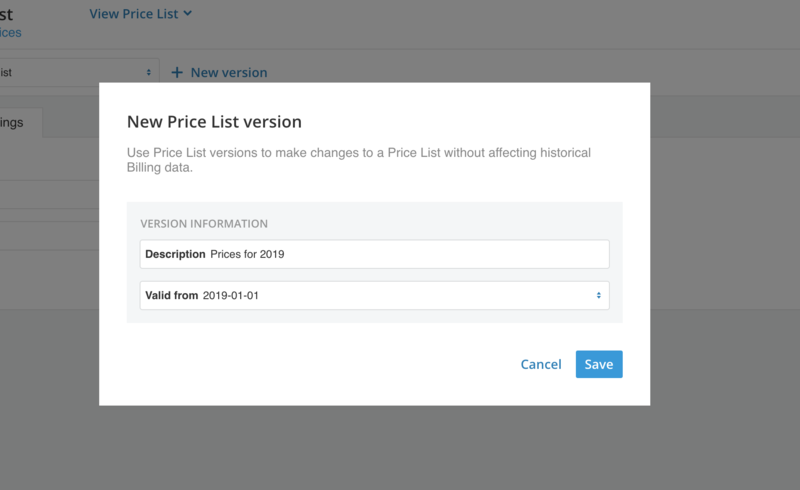 Which Price list version is used for a given Billing period is simply the price list version which was active when the Billing period started. There will never be more than one Price list used during a single Billing period. Price list version 1 with start date 2018-07-01. Price list version 2 with start date 2018-08-15. Billing period 2018-08-01 -> 2018-08-31 will use version 1 since it was the active price list when the billing period started. Billing period 2018-09-01 -> 2018-09-30 will use version 2 since it was the active price list when the billing period started. From within the Manage Price list view. Add a new Price List version by clicking “New version”. In this case we start planning for 2019 by adding new prices. The version will be valid from 2019-01-01. A new version is now created and you can now select what version to edit in the “Version dropdown”. Notice that prices will only be valid from a certain date.